Ma Yue has been the Principal Clarinettist of the Singapore Symphony Orchestra since 1993. 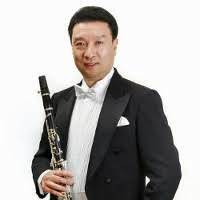 He began learning the clarinet at the age of 10 with his father Ma Hong Ye (principal clarinettist of China Broadcasting Symphony Orchestra) and later under Zhang Ren Fu (principal clarinettist of Central Philharmonic Orchestra of China). In 1980, he auditioned into the Central Conservatory of Music in Beijing and studied with Professor Tao Chun Xiao. After graduating in 1984, he joined the school’s teaching faculty and was the principal clarinettist of China Youth Symphony Orchestra. In 1989, he went to the United States to further his education at the University of Alabama, studying with Scott Bridge. He later became the Principal Clarinettist and Assistant Conductor at the University of Alabama Symphony Orchestra and was also a member of the Alarida Octet and Tuscaloosa Symphony. In 1990, he went on to pursue an Artist Diploma at the Konservatorium und Musikhochschule in Zurich, Switzerland, and became a freelance for the Zurich Symphony Orchestra and Zurich Opera House. He then taught at Musikschule Chur. Awards won by Ma Yue include the First Prize in 1990 Kiwanis Clarinet Competition, and Second Prize in the People’s Republic of China National Clarinet Competition in 1982 and 1983. Recently in 2013, he has been ranked as one of China’s top ten musicians by CCTV and has been invited to become a jury member of the Sixth Beijing International Music Competition – Clarinet. He has also been invited to become the art adviser and judge of the Singapore International Orchestra Arts Festival 2013 and to serve as a jury member for the 1st Unisa International Flute and Clarinet Competition 2014 organised by the University of South Africa (UNISA) Music Foundation. 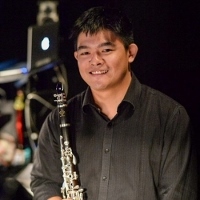 He is also currently an artist faculty member at the National University of Singapore – Yong Siew Toh Conservatory of Music. Desmond started playing the clarinet at the age of 13 when he joined the St Patrick’s School Military Band. He went on to further his studies at the Nanyang Academy of Fine Arts to pursue his Diploma in Music, and was subsequently awarded a full scholarship for the BA in Music Course, which he graduated with Honors. His teachers include Ma Yue and Tang Xiao Ping from the Singapore Symphony Orchestra. Desmond is currently a member of The Philharmonic Winds, Metropolitan Festival Orchestra and Clarinet Concord. He has freelanced with the Singapore Symphony Orchestra, National Symphony Orchestra of Malaysia and does regular concerts with the Singapore Lyric Opera Orchestra since 2009. He is a highly sought after performer in musicals and has been involved in the productions of Cabaret (2006), The Phantom of the Opera (2007, 2013), My Fair Lady (2014), The Sound of Music (2015) and The LKY Musical (2016) to name a few. He has also performed with international singers Aska (2008), Andrea Bocelli (2010), Russell Watson (2010), Katherine Jenkins (2011) and Sarah Brightman (2012). Desmond is an active chamber musician, performing on Clarinet, Bass Clarinet and Baritone Saxophone. He is also an experienced music educator. Pip Tang achieved his Fellowship Diploma in Piano Performance (FTCL) under the tutelage of the late renowned pianist Mr. Ong Lip Tat. He then pursued his music studies at the University of Texas at Austin learning piano with Professor Gregory Allen. In 2003, he graduated with the Bachelor’s Degree in Music Performance. Having played the clarinet since his secondary school days at Saint Patrick’s School Military Band, Pip continued his interest in University and took clarinet lessons as a minor study. He performed with the University of Texas Orchestra from 2001-2002. Currently, Pip plays clarinet with West Winds, Band of the Bukit Batok Community Club. 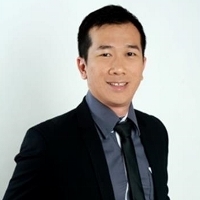 Pip is the current band director at Nan Chiau High School and Bedok North Secondary School. He also maintains a studio of private piano students. Satsuki Goh is a native of Wakayama, Japan. 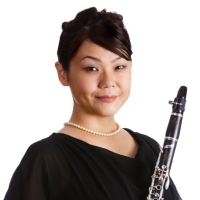 She is an alumnus of the Osaka College of Music where she was the scholar majoring in Clarinet Performance. She is currently a senior Clarinet teacher at Flute and Music Academy and also a Clarinet sectional instructor at many local school bands. As a clarinetist, she is a member of Clarinet Concord and The Philharmonic Winds.